Soylent Green – in store now! 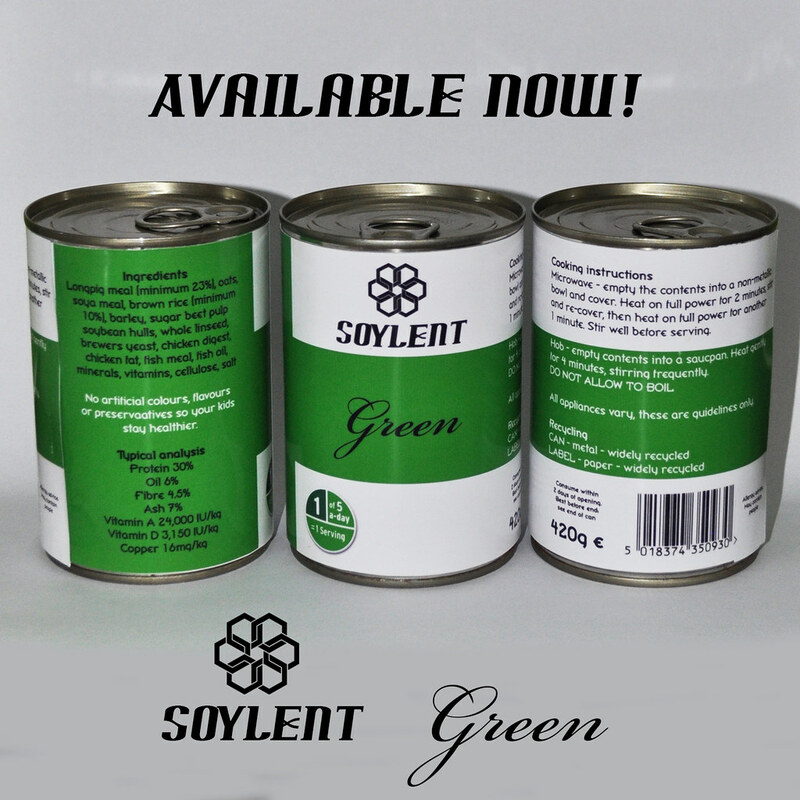 Soylent Green – available now! 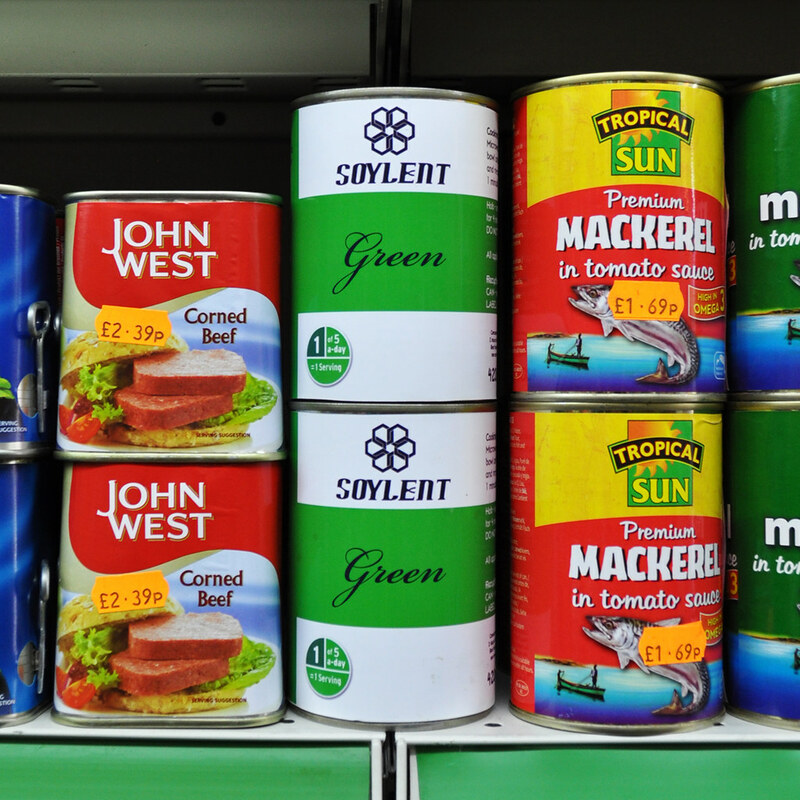 After being dispatched to our local corner shop to procure some Le Puy lentils for that evening’s curry I had reason to examine the dizzying array of canned food on offer in our local corner shop. Along with all the usual products they also have some particular goods that cater to the local Caribbean, Polish and Portuguese communities. It’s sometimes tricky to tell what some of the more exotic looking cans even contain. And that gave me an idea. The 1973 film ‘Soylent Green’ starring Charlton Heston is set in a dystopian future where the earth is hugely overpopulated and there just isn’t enough food to go round. To try and solve this problem the Soylent corporation comes up with a new foodstuff called ‘Soylent Green’ which is ostensibly made from high energy plankton harvested from the world’s oceans. But that is not so, as we discover through Heston’s diligent detective work following a murder. He stumbles upon a bizarre state secret – that Soylent Green is made of people!